GlamGlow is quite expensive. £45 - £50 for a face mask and that's cool, if you want to throw down the bucks for it but when noticing most the ingredients of the Supermud is in my home already, it makes sense to just make it raw and straight to the nitty gritty. That's what I did and messy job slightly but it works. · Activated Charcoal (normally made from willow bark) helps to reduce acne due to the fact that it removes toxins. Any other skin problems you probably can help fix and improve. It's good for make-up removal. Want to make sure that makeup is out of those pores - try it. · Coconut Oil Helps to retain your skins moisture, softens the skin, protects the skin from infections. · Bentonite Clay reduces inflammation, helps to reduce blemishes and heal eczema, dermatitis and psoriasis. · Aloe Vera anti-inflammatory, stimulates growth of new cells, minimal scarring. Anti-ageing. · Chamomile Tea anti inflammatory (helps reduce redness & swelling) & helps dermatitis & eczema. · Peppermint Oil astringent, antiseptic and anti inflammatory. Diminish the appearance of acne, blackheads, rashes and redness. · Eucalyptus Oil antiseptic. Good for those with oily complexions and acne. · Lemon Oil astringent, good for oily, acne prone skin. Helps to reduce pores, blackheads and even the skin tone. 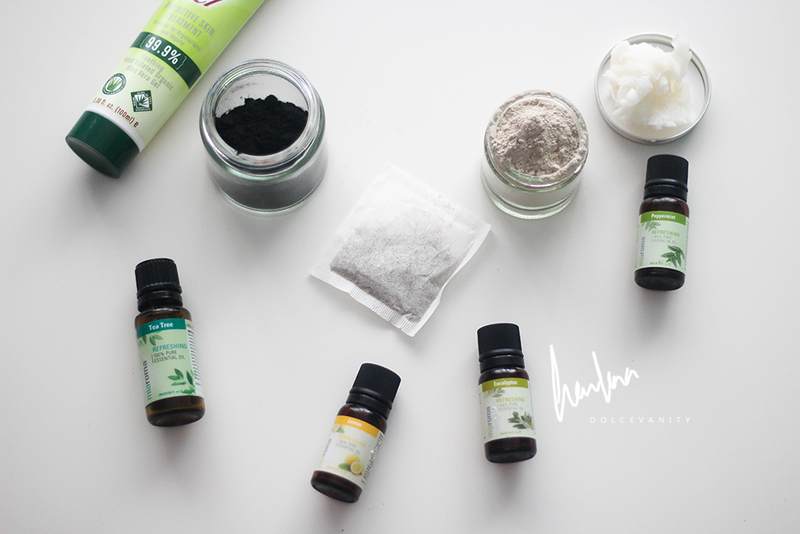 · Tea Tre Oil antiseptic. Helps spots, dark spots and blemishes & helps to refine pores. · Seep 1 chamomile tea bag in about 4 oz of hot water and let it sit. · Melt coconut oil into liquid. · Cut the capsules in half and pour contents into the bowl. · Proceed to add the ingredients into the bowl (BUT not the tea just yet). · At this point you can add any of the optional oils as well - of course I used every oil. · Slowly add the cooled tea into the mixture and whisk until a creamy texture. · Deposit into a container and put into the fridge for roughly an hour. I put mime in the cupboard with an air vent to cool slower. Yes it's got you black face in your feelings staring at the final produce. It's a nice mask, smooth and sets nicely. I apply this and leave on for around 10 minutes and rinse off my face. Beware it's a messy product to make and use. Make sure you've got your cleaning products nearby. It costs roughly £30 depending where you shop & for the amount of ml you get of ingredients. I have these oils already for skincare use already I just didn't have the charcoal but the seller I got from eBay was good and prompt with my package and you get soo much. You can get most these ingredients from from Holland and Barrett or Naturally Thinking online. The others I got off eBay Activated Charcoal & Calcium Bentonite Clay. I prefer to have the ingredients on hand for any further batch ups that might need doing. Works out better to just go to the kitchen than having to order online repeatedly. I keep it in a cool place. Not in direct sunlight, keep cool or in the fridge. 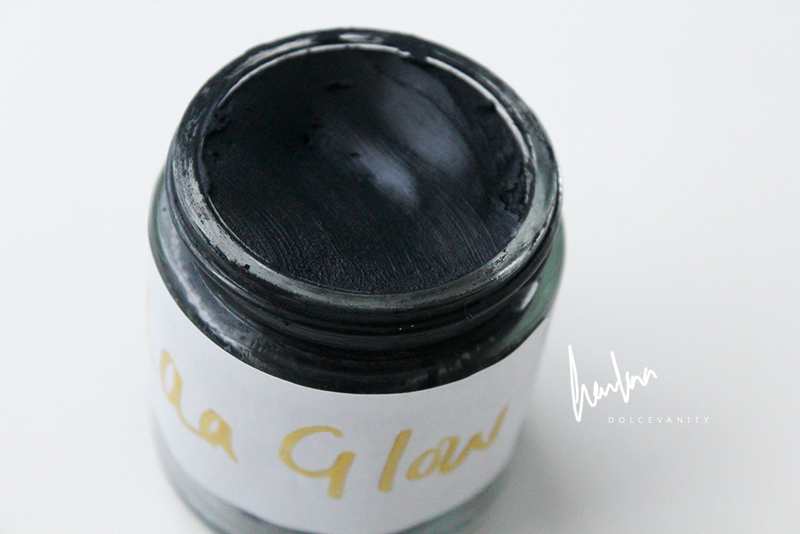 Do you want to try Laa Glow? - Yes lol, I tried it with the rename and what?! DEFINITELY trying this out soon. Must get to ordering. Wow! I heard so much about glam glow, I really need to try this instead! Looks great! Thanks for sharing this with us. <3 no problem! ^^ definitely! and you save so much!